The Scottish Gaelic language was almost lost to the people of Scotland. 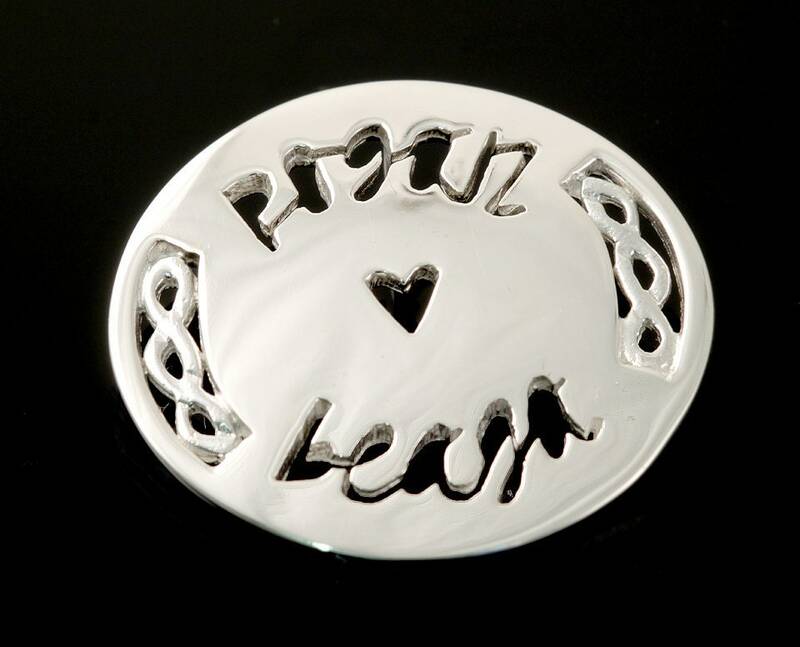 Now, you can celebrate the beauty of this language by giving the gift of the Gaelic on this handcrafted brooch. Adorned with a Celtic weave design and a little heart shape, the words Pagan Beaga will make sure your "little kisses" are always near.